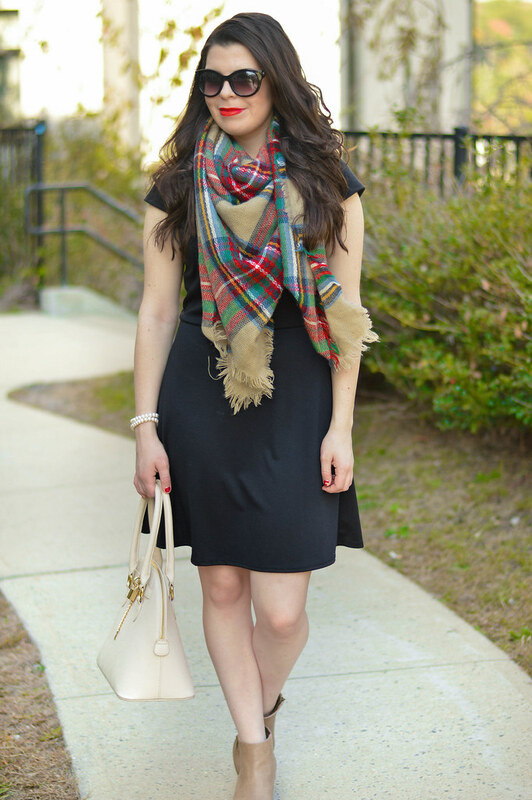 There are so many ways to wear a blanket scarf, but I think my new favorite is with this little black dress! This outfit is so easy to throw together and looks instantly chic for day or night wear. 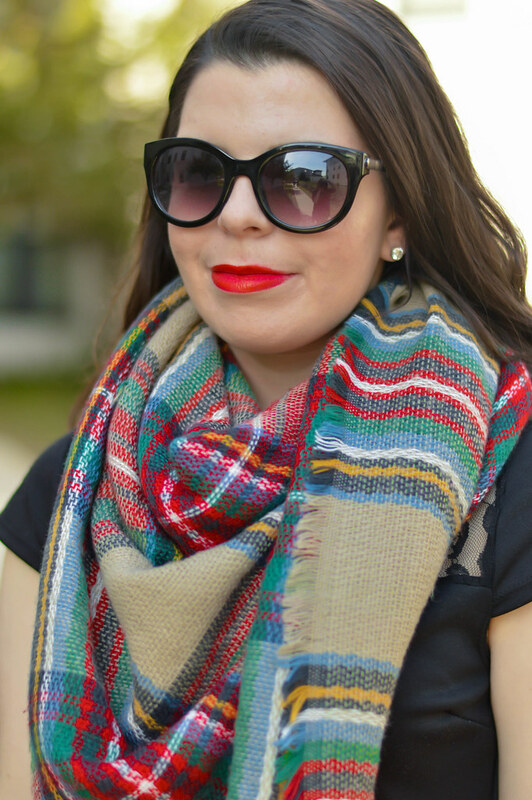 When it gets chilly you can also add a red or beige coat! 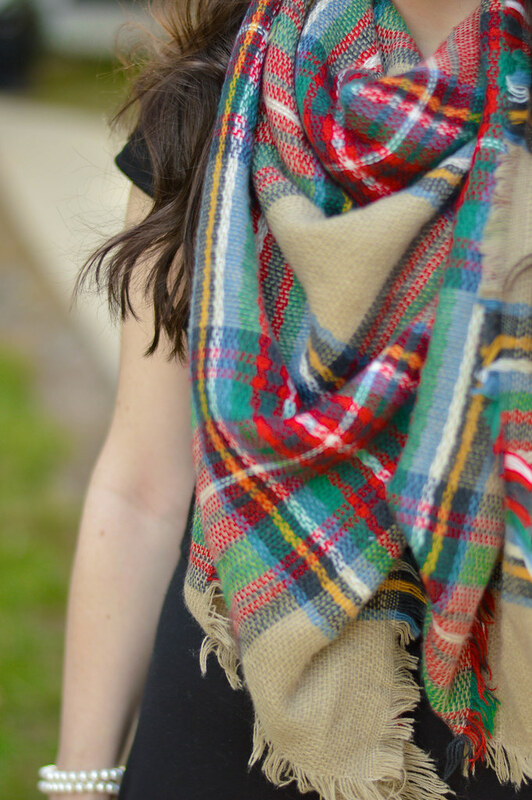 How do you wear your blanket scarf?